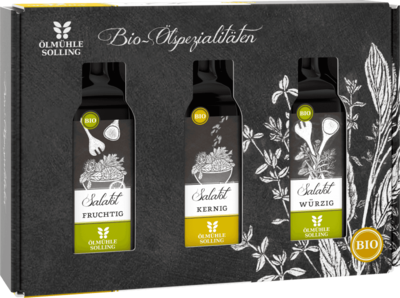 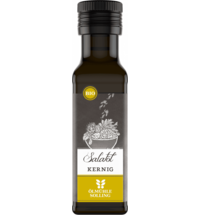 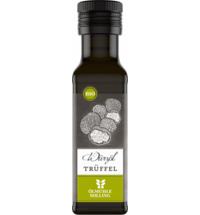 This set makes a beautiful and tasty gift and is also a great way to get to know Ölmühle Solling's oils. 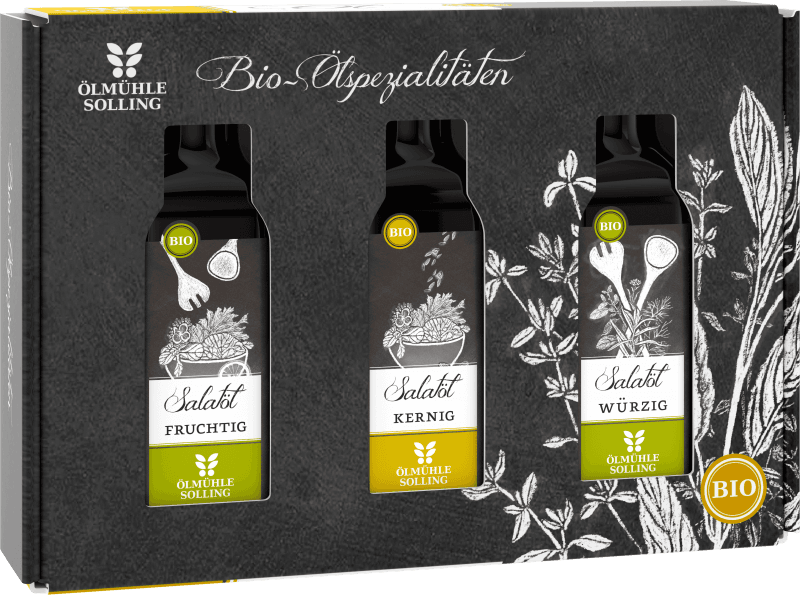 Three different oils made from the best raw materials from certified organic farming invite you to add new flavours to your life! 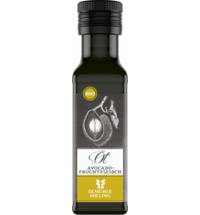 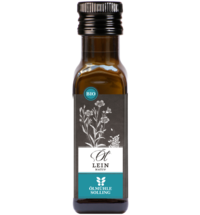 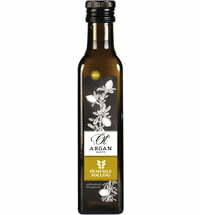 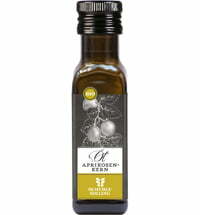 Based on local rapeseed oil, nutty sunflower oil and fragrant olive oil with hints of oranges, lemons and limes. 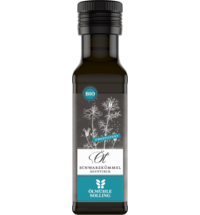 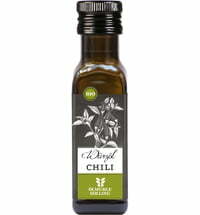 High-quality, cold-pressed rapeseed oil and sunflower oil meet dill, tarragon and basil, creating a unique flavour! 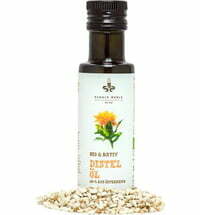 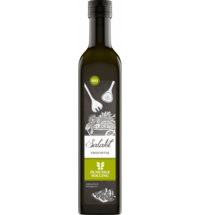 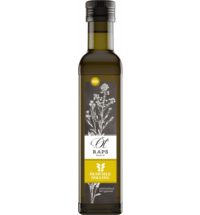 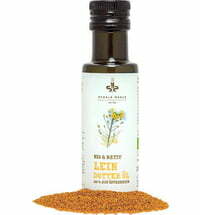 This blend of rapeseed oil, sunflower oil and olive oil can be used in many ways!